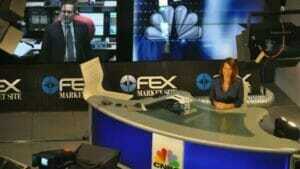 With a passion for researching and sharing the most important facts on real estate and economics, Kathy is a frequent guest expert on such media as CNN, CNBC, Fox News, NPR, CBS MarketWatch and the Wall Street Journal. 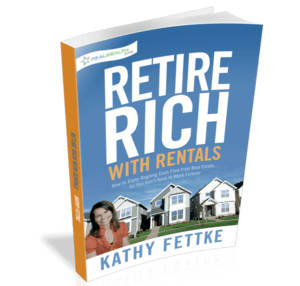 She is the author of the #1 best seller, Retire Rich with Rentals, and is host of The Real Wealth Show – which is a featured podcast on iTunes with listeners in 133 different countries. Kathy became a certified personal coach through the Coaches Training Institute in San Rafael, California. In 2001, she took the coaching process to television and produced a cable show called “DREAM” which followed the process of 6 people going after their dreams over 90 days. Kathy noticed a theme on her Dream coaching show: most people didn’t have time for their dreams when they are spending all their time at work to make money to pay the bills. Her show sponsor was a real estate expert and the segments they produced changed her life. After interviewing dozens of real estate millionaires, Kathy discovered their best strategies for creating passive income streams. She and her husband bought numerous investment properties and since then learned the highs and lows of investing that can only come from hands-on experience. She is passionate about learning more and sharing that information with the members of Real Wealth Network and the listeners of The Real Wealth Show. Kathy loves the freedom that real estate investing can bring. She is an avid traveler and enjoys hiking, rock climbing, skiing, figure skating and surfing. She lives in Malibu, California with her husband, Rich, and their two daughters.